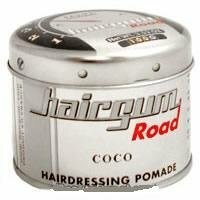 Hairgum 3.53 ounce Road Coco Pomade. A styling balm with a wax texture. Gently controls thick, frizzy hair while redefining curls. Adds shine and gloss.